The majority of us see music only as a form of art and entertainment. Music can have many shapes and forms, and it can be used for different purposes. It can sell records and fill concert arenas, spread social consciousness or war propaganda, make babies fall asleep, be used as a jingle in advertising, and more. However, there aren’t many people who believe that music can have a healing effect. Here, we will discuss how this art form can be used as a therapeutic tool to help those in need. There’s a lot of skepticism surrounding the healing power of music. Nevertheless, there’s also a lot of evidence that supports this theory. In fact, many hospitals around the world use music therapy to help patients heal faster. 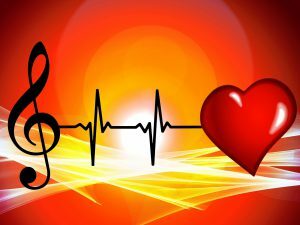 Specialists found that music can lower heart rate and blood pressure, ease the pain in some patients, and even have positive effects on depression. A hospital in Finland, for example, played recorded music to some severe stroke patients and saw positive results in their recovery. The patients were depressed less and improved their verbal memory faster than the ones who didn’t listen to any music whatsoever. A separate study done on premature babies showed that only a couple of hours of classical music a day can improve the babies’ development. Creating music can have the same positive effects as listening to it. You don’t have to be a talented musician to experience this, as it’s not about what you make, but about the process of making it. Creating art can build your confidence and help with your self-expression. Writing meaningful lyrics can give you perspective by transferring your thoughts and emotions on paper. While meditating is an activity that generally requires silence, a lot of people prefer to listen to music while doing it. Some of the people who practice meditation found that music can make them more relaxed and focused as it quiets down the inner dialogue. The rhythm of the music also helps you control your breathing patterns. Although music won’t really help someone who needs hip surgery, it can still have a positive effect on a person’s mental health. The music can calm us down and put a smile on our faces. It can lift our spirits and make us feel the joy of life. It can spark memories and help us fall in love. The next time you hear a song that you enjoy, make sure to appreciate it. It can help you more than you would think.